ZIMBABWE'S power utility, Zesa, is ratcheting up pressure on its defaulting consumers to cough up more than US$1 billion in unpaid bills by, among other measures, getting into stop order arrangements and cutting off electricity supplies, it has emerged. The utility has been battling crippling power shortages that have seen it having to import energy from South Africa and other utilities in the region. Zesa commercial director Ralph Katsande told the Zimbabwe Independent the utility was on a drive to ensure that defaulting clients pay up. "Zesais owed, in total, about US$1 032 billion by our clients. These include local authorities, who are the largest debtors, industry players, commercial farmers, as well as domestic consumers," Katsande said. "It has not been easy to recover this money and we see ourselves in that fix, where we will have to spend a couple of years chasing these payments. In fact, we project that it will take us the next five to 10 years to fully recover the debt," he added. The task, he said, was worsened by the growing number of defaulting clients owing to economic hardships. "While we have tried and continue to try to recover the money, no matter how much we get, we have more and more companies and domestic consumers who default owing to economic challenges we face as a country," Katsande said. The Zesa boss disclosed the utility has had to enter into compromise agreements with its clients in order to encourage them to cough up. These include stop order arrangements for commercial farmers, those into winter wheat farming, and tobacco farmers. "In some cases, we have had to ask the client to pay a portion of his arrears while they continue to operate. 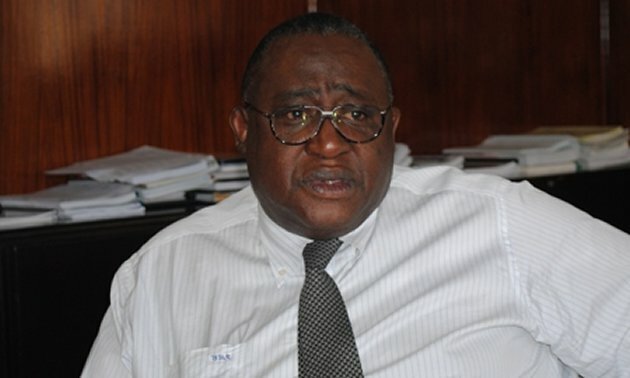 There are those that we have had to terminate supplies to because they have just decided to default without even coming to us as Zesa to discuss these arrears," he said. Katsande also revealed the utility was seeking about US$8 million to procure electricity pre-paid meters which he said had proved useful in revenue collection. "We are looking for US$8 million to enable us to procure electricity pre-paid meters. You will realise that we have, under phase one of our pre-paid electricity programme, moved about 612 000 consumers from the old system into the pre-paid meter system,"he said. "We have a further 100 000 that we need to migrate to this new platform and this is where the money will go to. We have had to apply to the Reserve Bank of Zimbabwe to get that money."